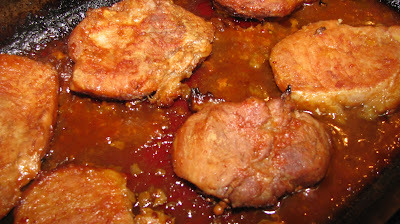 This is a recipe from Talk About Good Cookbook. I am not very reverent of cookbooks. I write in them and scratch things out and put a big star on the ones that we like. This is one of the recipes that has a big STAR. I use apple cider vinegar. I think it gives the sauce a great taste. 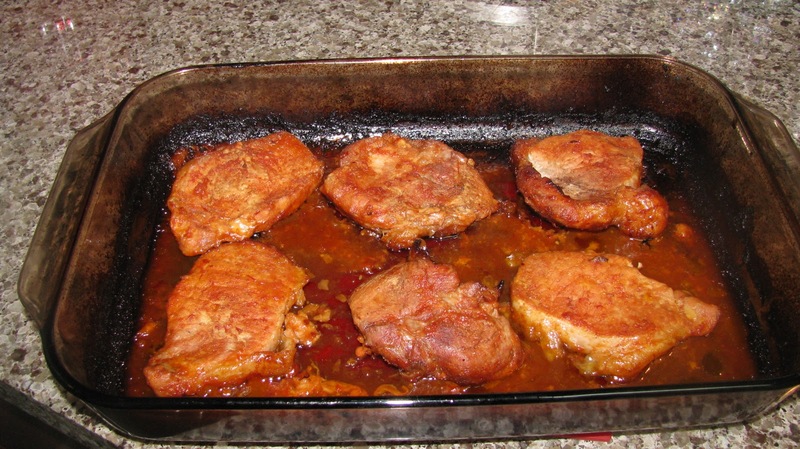 I have made this recipe with pork chops and with a pork roast cut into cubes. It tastes great both ways. This looks delicious! This with that Corn Casserole will be a great meal! I made both on the same night!